When you’re a parent, the health of your child’s smile is of the utmost importance. When your child has a healthy and bright smile, he or she is more confident and experiences better health overall. Finding the right dentist for your kids can be challenging, though, and some parents might not know which qualities set one dentist apart from another. In today’s blog, we’ll review a few tips that will help you find the right dental care provider for your children. 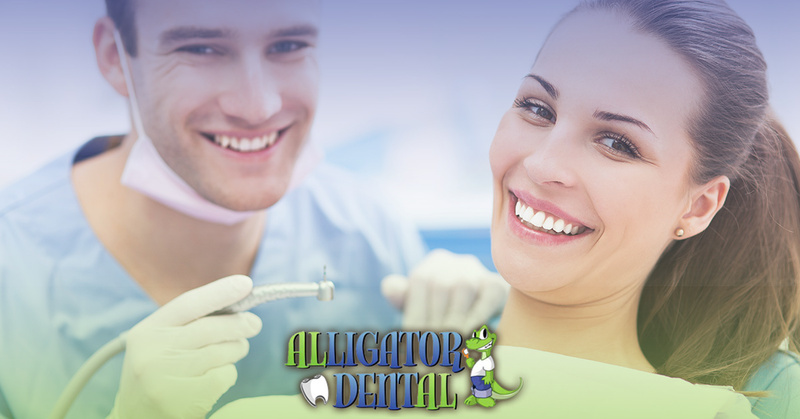 If you’re looking for a reputable dentist in Seguin, contact Alligator Dental today! We’ll gladly speak with you about your child’s specific needs and make an appointment to see him or her as soon as possible. Because there are often a handful of them in your town, researching dentists can be overwhelming. One of the best ways to see what a provider has to offer your children is to take a trip to his or her office with your kids. If you do choose to visit their office, we recommend looking for three key factors. A key component of any dental office that caters to kids is the ambience of the waiting room and examination area. When looking for their own dentist, adults tend look for a space that is spacious and clean with areas of privacy for discussions with the dental provider. For kids, on the other hand, it’s helpful if the waiting area is decorated in a fun, friendly manner and in a theme that appeals to children of all ages. This might mean having toys in a corner for the youngsters and video games in another area for the older kids. The fun, kid-centered theme should continue into the examination area, providing a welcoming environment for your children. People often wonder what the difference is between your everyday, run-of-the-mill dentist and a pediatric dentist. While the office atmosphere is vital to ensuring your child enjoys his or her time while there, age-appropriate furniture, equipment, and supplies are equally as important. Kids have smaller mouths than adults. Because of this, they require smaller dental instruments, examination chairs, and other items to make their cleaning and procedures more comfortable. Without the use of properly sized tools, your children could experience pain and discomfort, and that’s not what you want them to remember about their visit. Just as a medical doctor’s bedside manner is important to forging a trustworthy relationship, so is the chairside manner of a dentist. It’s vital that the dental provider you choose for your children is happy, friendly, and patient. You want your child to feel secure and comfortable while in the examination chair, and that is best accomplished when the dentist demonstrates respect for your child. Likewise, he or she should use terminology that accurately conveys what is being said in a way that kids will understand and relate to. Many children’s dentists are happy to meet with families ahead of time in order to allow you and your children to gauge whether or not you think it’s a good match for future care. At Alligator Dental, we make going to the dentist in Seguin enjoyable for your kids! Our office and staff are friendly, inviting, and features many things that are tailored to appeal to children. All of the equipment we use is age-appropriate to ensure a comfortable examination and our doctors all specialize in pediatric dentistry. When you choose to bring your kids to our office for dental care, you can rest assured that they will receive superior dental care specifically designed with their needs in mind. For more information, or to schedule an appointment with our dentists in Seguin, call 830-372-3725 today! We look forward to speaking with you!